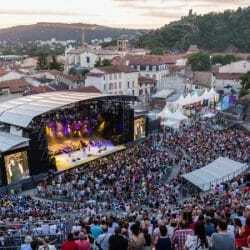 Nuits Sonores is an electronic music festival held every year in Lyon during the month of May. This unique festival is dedicated to providing an exciting atmosphere of contemporary multiculturalism which incorporates all art forms; live music, dj’s, design, video, photo, graphism, architecture and food. Nuits Sonores was conceived in the Autumn of 2003 and its original intention was to create a space that could be a melting pot of ideas, artistic projects and cultural initiatives. 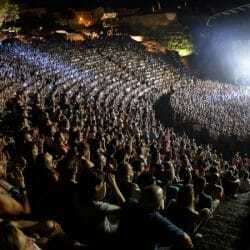 A sort of cultural urban and artistic laboratory that brings together people of all ages, social and cultural groups. The last 15 years have seen the festival grow to include a large spectrum of electronic and digital contemporary independent culture. The festival brings together both established and well known music artists and dj’s as well as up and coming new acts from the local, national and international popular and niche music scenes. The festival in 2016 saw performances by Mogwai, Africain 808, Moderat, Voilaaa, DJ Harvey and Daniel Avery. Nuits sonores is as much about images and visuals as it is about music and sound. Organisers Arty Farty and Lyon based architecture firm LFA (Looking for architecture) created in 2011 by Antoine Trollat and Laurent Graber, create stunning 3 dimensional spaces to present music and sound. In addition, the graphic design of printed materials and the creation of exciting digital media successfully create a unique and fully immersive experience. 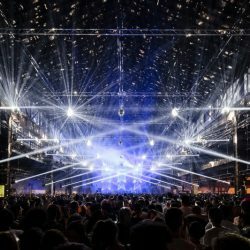 Nuits Sonores is a unique festival and a must for lovers of contemporary artistic culture. Every year the festival makes use of around 40 sometimes fairly unconventional locations around the city. In recent years events have taken place in abandoned industrial buildings, art galleries, rooftops and even swimming pools. The public is encouraged to discover the festival either on foot or by using public transport. 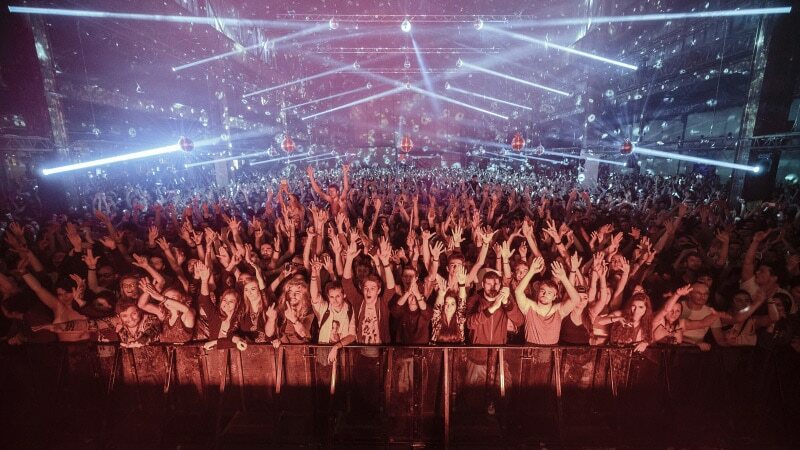 Nuits Sonores takes place every year over 5 days and nights during May in Lyon. There are various ticket options available: One day only ticket for €26 (€23 for students, seniors and people unemployed) 3 day pass for daytime events for €58 and the full nights and days pass is €140. Night events are over 18’s only and for daytime concerts under 18’s are allowed if accompanied by a legal guardian. Check out the festival’s YouTube channel and/or Facebook page. Buy your tickets and passes early as some events can be sold out in advance.